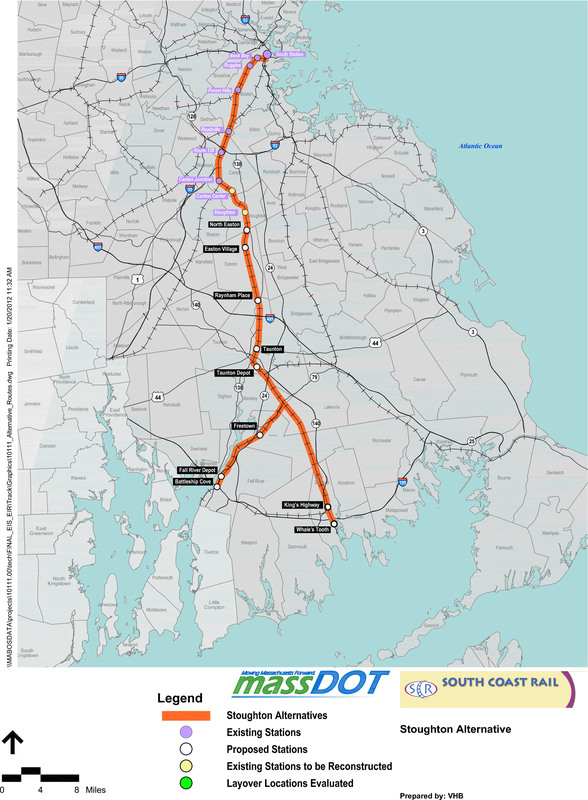 MEDIA ADVISORY / PHOTO OPPORTUNITY / MAY 7, 2015 / 5-7 P.M.
DARTMOUTH, MA - - The Rail to Boston Coalition is joining the South Coast Rail Task Force to launch the rollout of the 2015 state priority map by the Massachusetts Executive Offices of Housing and Economic Development and Energy and Environmental Affairs at the “Celebrate South Coast Rail Planning” event. The celebration will be held at the UMass Dartmouth School of Law, 333 Faunce Corner Road, Dartmouth from 5:00-7:00 P.M. on Thursday, May 7, 2015. A 6:15 P.M., a ceremony will honor Kristina Egan, the original South Coast Rail Project Manager; John Bullard, the South Coast Rail Task Force Chair for 10 years; and members of the South Coast legislative delegation. The honorees are being recognized for their respective leadership in advancing the South Coast Rail project to reestablish the commuter rail connection from Southeastern Massachusetts to Boston. The event will also highlight the Technical Assistance Program, featuring examples from more than 100 projects over 7 years from the 31 South Coast Rail Corridor communities, and Station Planning, featuring conceptual plans and zoning bylaws developed and enacted in Taunton, Fall River, New Bedford and Freetown. State, regional and community priority mapping is a collaborative process designating Priority Development Areas (PDAs) and Priority Protection Areas (PPAs) that is being used in local, regional and state planning and decision-making for the South Coast Rail project. 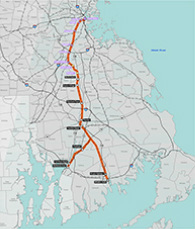 Established in 2014, the Rail to Boston Coalition has a mission to: re-establish the commuter rail connection in order to drive economic development, attract intellectual capital, reduce pollution, enhance public safety, create workforce housing and promote smart growth; advocate among local, state and federal officials for funding; leverage resources of knowledge, time and funding to promote the connection; and educate the statewide public and media about the importance of commuter rail connection to the region and other areas of the Commonwealth of Massachusetts. Our current membership includes: the Massachusetts Association of REALTORS®; Transportation for Massachusetts (T4MA ); the Taunton Area Chamber of Commerce; the New Bedford CEO Council; the Cape Cod Chamber of Commerce; the Greater Fall River Association of REALTORS®; RE/MAX Right Choice; SRPEDD; the New Bedford Area Chamber of Commerce; the Fall River CEO Council; the Taunton Development Corporation; the Southeastern Massachusetts Association of REALTORS®; the North Bristol County Association of REALTORS®; the Greater New Bedford Industrial Foundation; the SouthCoast Development Partnership; the New Bedford Economic Development Council; the Southeastern Massachusetts Visitors Bureau; the Southcoast Health System; the Fall River Office of Economic Development; the Greater Boston Real Estate Board; and the Greater Boston Association of REALTORS®.